Time to Get Back in the Garden, But Where Do You Start? Many people across the UK experienced a mild winter and wet spring. However, better weather has finally found us! So, if you’re going to get your garden in order you’d better get a move on but where do you start? Remove any outdoor furniture from the area temporarily - more on this below. Remove all leaves, debris and foreign objects from the area. Most of these can be put in a garden waste bin. Use a paint sprayer to renew any peeling or discoloured masonry paint on garden walls. Use a pressure washer to strip any lichen, algae or soil from your pavers. With the correct attachments, this can also blast the weeds from the cracks between your pavers. Now put the beers in the fridge and spark up the barbeque! Strip the old finish from wooden furniture first. A paint scraper may be all you need, or you may prefer to use a chemical stripping agent first. Sand the surface thoroughly. You may need a belt sander to do the job quickly. If painting the furniture, use a high quality primer/sealer for the first coat. Let the furniture dry for 12-24 hours. Apply a second coat of latex paint or spray enamel. If you are staining the furniture, apply a UV protective sealer using a cloth or paintbrush, according to the product’s instructions. Apply up to 3 coats of stain, but allow the piece to dry completely between coats. Clean the piece with washing up liquid and a stiff brush. If there is mould or mildew, use a mixture of thick bleach and water. Remove any rust and flaking or damaged paint with a stiff wire brush. Apply a primer designed for metal surfaces and allow to dry for at least 24 hours. Apply a coat of rust-inhibiting spray paint lightly. Use several coats to prevent drips. You’re ready for an Al Fresco summer feast! For handsome hedges so smart they’ll rival those of the keenest gardener on the street. Most hedges will require maintenance trimming in the spring or early summer to keep their shape. Use a good quality hedge trimmer, either electric or petrol-powered for large or particularly tall hedges. Otherwise, hand-held hedge shears are all you need. Wear safety goggles and work gloves, especially if using a powered trimmer. Use a string tied between two canes, or poles, as a guide for perfect edges. To cut the top of a hedge into an arch or a curved shape, make a template out of card, attach this to, or hold it against, the bush and clip off any leaves or branches that extend beyond it. 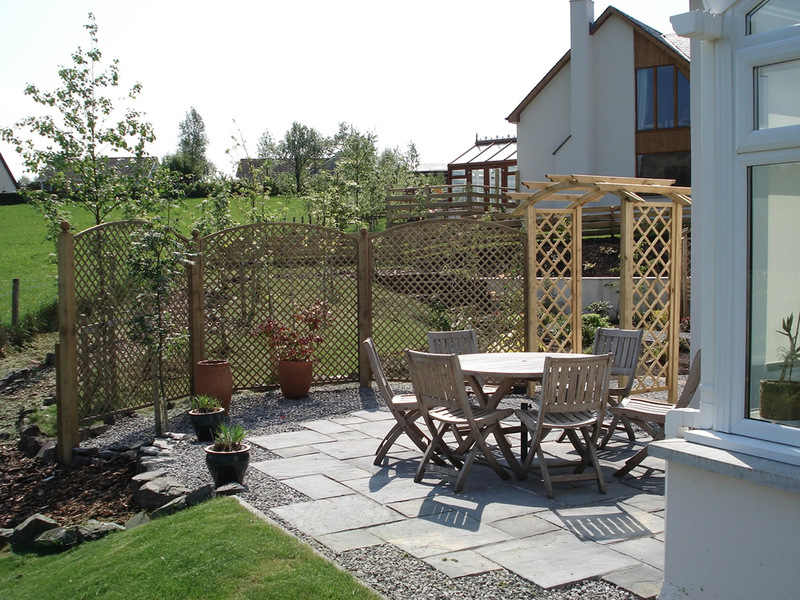 Replace any stakes or support poles which have broken or washed out over the winter. Make sure that they are still securely tied to your trees as well. You may not want to remove branches from spring-flowering trees and shrubs until after flowering is finished. 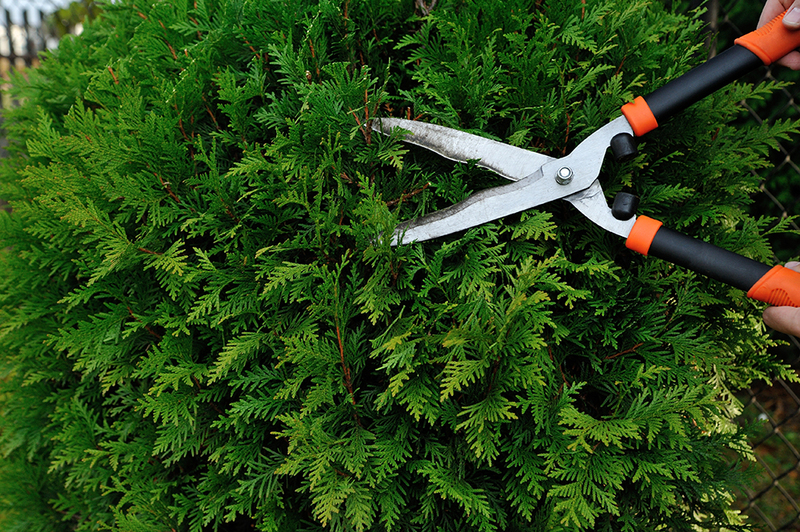 If there are any damaged branches, remove them cleanly with a cut just below the damage. What a list! Of course, not every garden will require all the jobs listed in this post. Most will require only one or two weekend afternoons and a trip to the local garden centre to set right. Now get out there and enjoy the sun! If there is one thing we can rely on, it’s that it won’t last!